At a time when most farmers in the country are reeling under the pressure of erratic weather conditions and forecast, few farmers from Deoghar district, Jharkhand has a different tale to tell. Recently, Congress Yadav, a 45-year-old farmer could save paddy seeds worth INR 2500 from getting wasted, while Jivlal Marandi saved the cost for one irrigation in his three acres paddy field. Not very different is Nageswar’s story from Devipur village who decided to sow his potatoes three days earlier than usual. 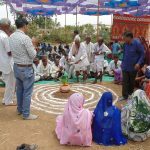 All of them belong to a group of around 1500 farmers in the district who are part of an innovative approach developed to gauge weather forecast and associated agro-advisory mechanism in the area. 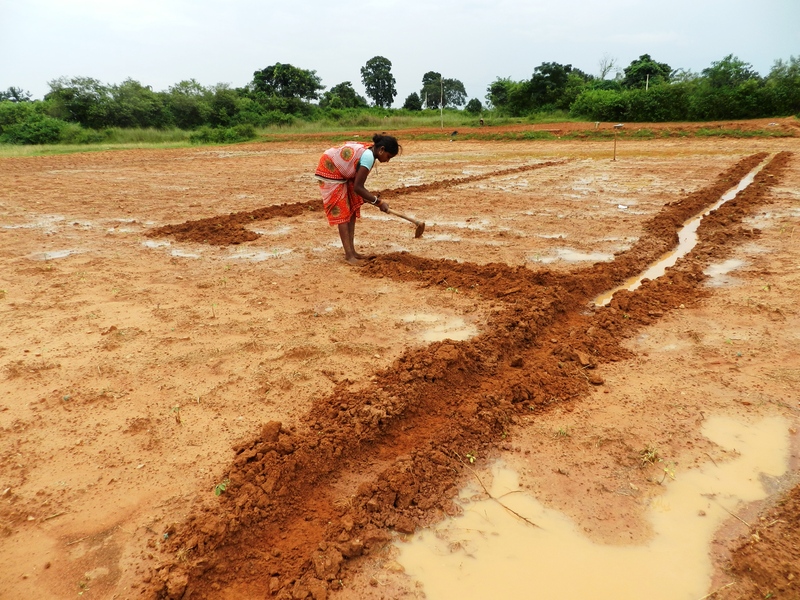 A farmer titling her land in Deoghar district, Jharkhand. Like many other South Asian countries, Africa and Latin America, India is also largely a small holder dependent country in terms of food production. 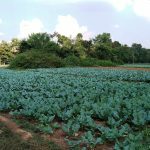 In Jharkhand, a state in eastern India, rainfed agriculture plays a vital role in shaping livelihood and food security distribution patterns for local farmers and the surrounding markets. 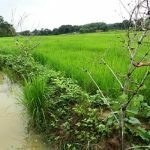 Like most part of the country, agriculture is typically rainfed in this region which compels farmers to heavily dependent on monsoon and natural weather patterns. However, in recent times, extreme weather conditions and erratic rainfall patterns have been predicted in the area. The farmers have already experienced the brunt of late onset of monsoon, longer dry spell within the rainy season and heavy rainfall within short span of time. This is particularly worrisome for small farm holders since they have minimal or maybe no capacity to deal with such uncertainties. The currently available agro-advisories mainly focuses on commercial crops in a macro-geographic scale. They do not cater to the mixed and multiple cropping pattern of a small holder farmer specific to a micro-climate. 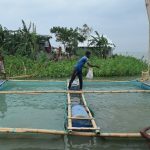 Additionally, these advisories which are being developed by academicians or government officials tend to ignore taking into consideration the gamut of knowledge and skills that an experienced local farmer possess. In a country like India, ecological set up, cultural practices, language and customs changes every few kilometres. Therefore, a top down agricultural advice and planning by an expert isn’t of much help for small farm holder. 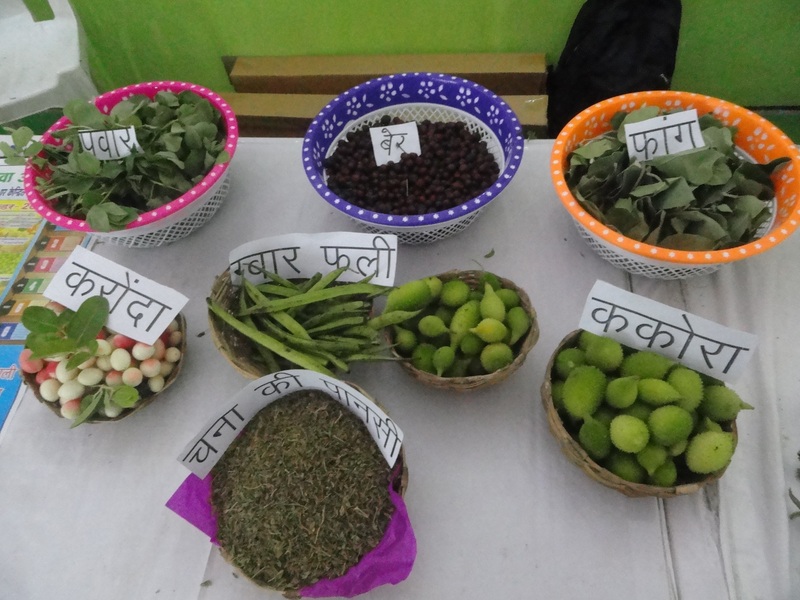 With an aim to strengthen farmer’s participation and support small holders, Welthungerhilfe with Centre for World Solidarity (CWS) initiated a pilot project titled ‘Agro-advisory service for small holders for adapting to climate variations’ in Deoghar district of Jharkhand. The initiative aims to address the agricultural needs of farmers based on specific weather forecast and agro-advisories developed by the farmers themselves. It is a step towards democratising the process of knowledge generation and challenging the knowledge source which is more often the agents of agro-chemical industry. Under this innovative mechanism, the advisory is developed by moving away from the routine forecast which is available on an hourly basis. The primary data is sourced from www.openweathermap.org – a real-time open source server which provides three hourly forecasts over several parameters of a coordinate. Based on this system, a 5-day weather forecast was generated from the server for three locations in Deoghar district. These forecasts were then shared with five experienced farmers to receive their inputs for formulating the advisories based on preliminary weather forecast. 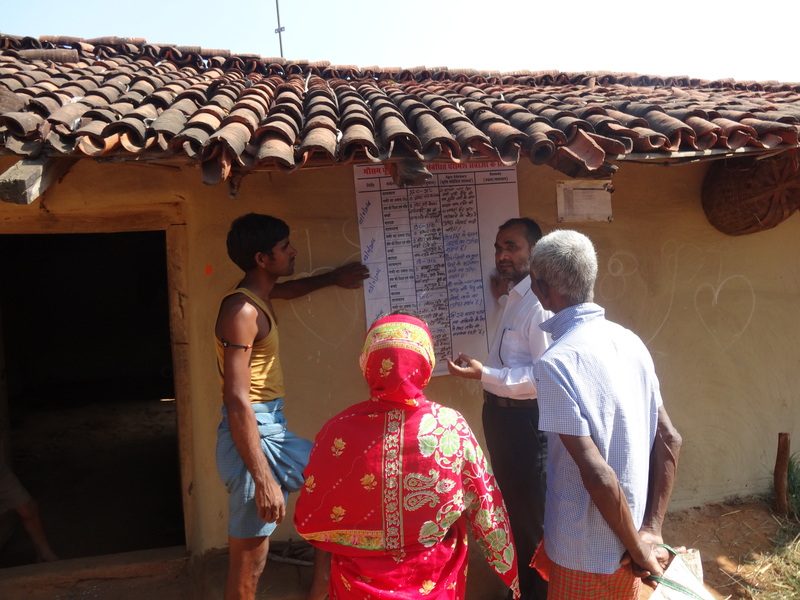 The agro-advisories thus received from the resource farmers were disseminated through SMS and notice boards in the villages. 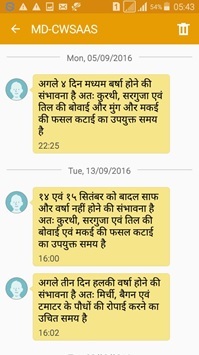 Agro advisories disseminated through SMS. diversifying cropping pattern, undertaking agroecological methods of agronomic practices and crop contingency planning. The forecast also helped in better absorption of soil nutrients and weed control. “Fortunately, I followed the advisories; otherwise all my investment in potato sowing would have been lost”, shares Nageswar who moved his potato sowing to a prior date following the advisory on possibility of no rainfall which he received through SMS. The advisories developed by the farmers proved to be near about accurate. The overall temperature forecast accuracy for all three weather stations together stood at an average of 92.83%. The humidity forecast accuracy has been 85% on overall basis. This led to significant saving in irrigation and manure application costs. Wind speed accuracy on overall regional basis has been recorded at 79.5%. While the rainfall accuracy for the entire period from July 2016 to October 2017 has been 70%, the dry spell forecast proved to be more reliable and highly accurate with 95% incidence on regional basis. The cloudy day forecast was considerably good with 91% of accuracy which helped the farmers to apprehend the rainfall intensity and harvesting/drying of crop. The effectiveness of the open source real-time weather forecast has also been verified through this action research, validating the actual data from mini-weather stations and proved that it works well. Almost 50% of the farmers who planned their agricultural practices based on the agro-advisory practices rated it to be good and 35% of them rated the service as satisfactory. Others agreed that the advisories have been very relevant for their localities. It has been a welcome change amongst the farmers who had put these agro-advisories into practice. Locals looking at a list stating weather forecast and the agro-advisories. To create a sustainable model and strengthen localised agro-advisory system, CWS plans to a develop small weather stations, SMS services for agro-advisory and online agro-clinics in the future. These facilities will support small holder farmers to access the weather predictions along with appropriate agro-advisory suitable for their micro-climate. 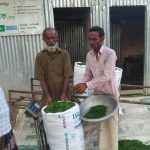 They will also be able to incorporate these advisories in planning their farming cycles and take important management decisions such as sowing according to onset of monsoon and residual moisture, fertilizer application based on wind/intensity of rain, prediction of occurrence of pest and disease, critical irrigation using meteorological threshold, timely harvesting etc. This agro-advisory will also be supported through peer learning process of farmer field school, which is a periodic process of analysing weather information and agro-advisory along with technical skill building on agroecological processes.